Heat & Glo's Twilight is the world's first indoor/outdoor see-thru fireplace. 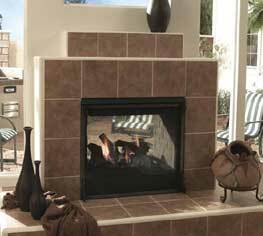 Enjoy your fireplace from your family room and patio simultaneously, any time of the year. This gas direct vent model was tested as both a fireplace and a window, assuring you years of great, carefree performance regardless of the weather.